Here are some pictures of Hurricane Rigs in Action from around the world. 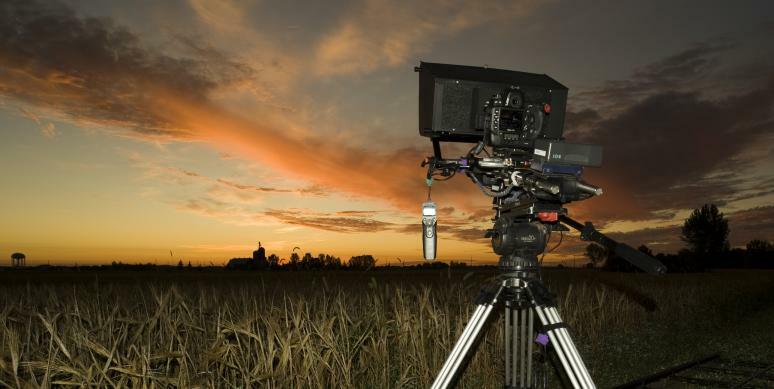 Paul Williams uses his rig to shoot time-lapse for IMAX movies. 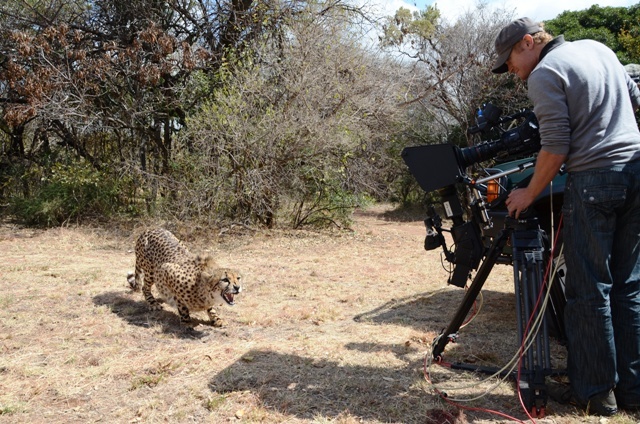 Peter Lamberti using his Hurricane Rig to shoot Cheetah's in Africa with a pair of Sony EX3's with ENG zoom lenses. Hurricane Rig with a pair of Sony F3's on a 3D cinema commercial shoot. 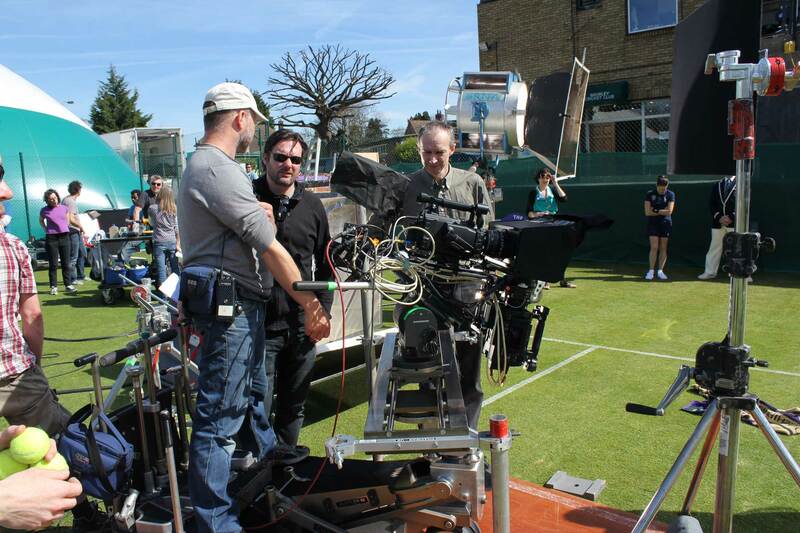 Another shot from the 3D cinema commercial shoot for a major tennis tournament. 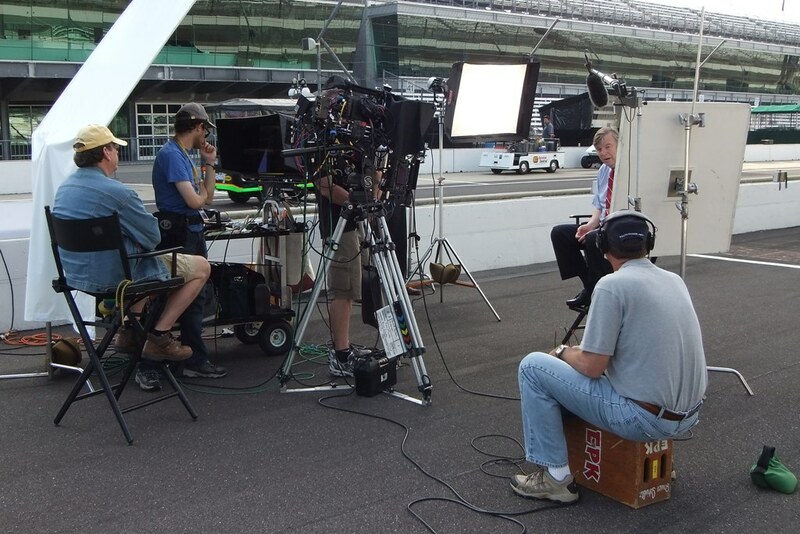 Hurricane rigs helped shoot the Indy 500 for 3Net. 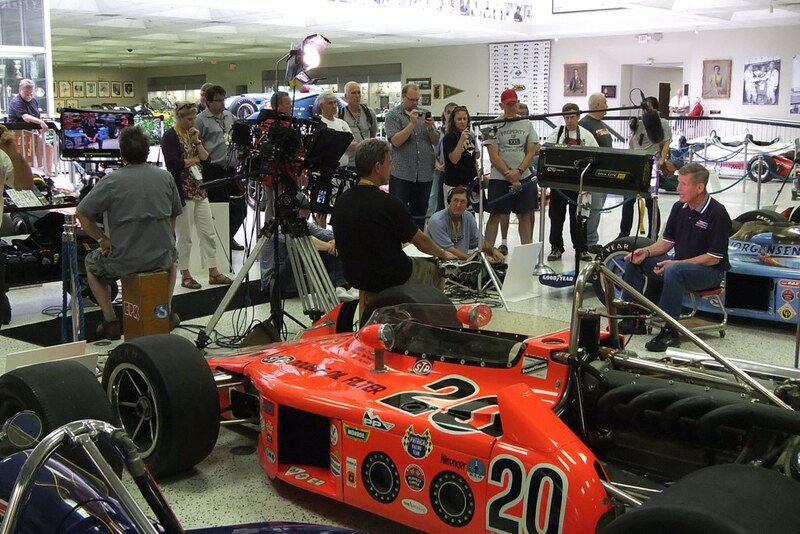 Another shot from the 3net Indy 500 shoot.